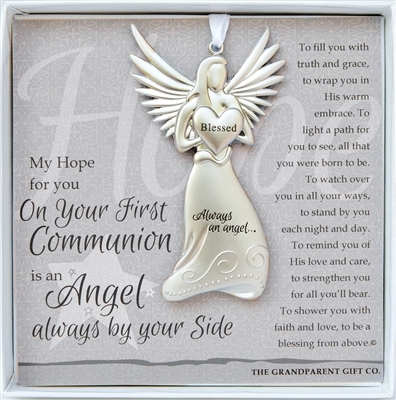 Our beautifully crafted First Communion guardian angel ornament makes a First Communion keepsake that lasts a lifetime. Measuring 4 x 2.25", our Communion angel comes gift-boxed with artwork featuring words of love and affirmation. Angel medallion hangs on a white-satin ribbon and is perfect for year-round display. 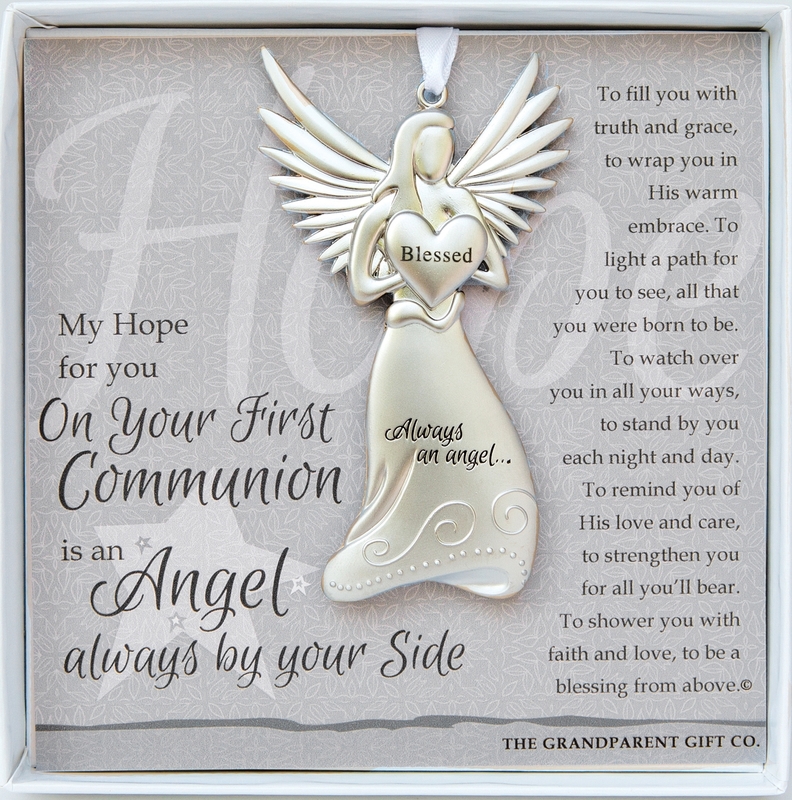 An ideal First Communion gift for girl or boy, they will always have an angel by their side. Also available in titles for new baby girl/boy, sympathy, godmother, and more! I was anxious to get a gift for my granddaughter's First Communion and ordered this item thru Amazon and it was out of stock. I waited to see if it would get in stock before I needed it. My friend suggested I go to the "parent company" to order which I did and you not only filled my order quickly but I received it on the day of the 1st Communion. Thank you for your wonderful service and I love the selection that you have. I'll be coming back to order more in the future. So pretty! A very unique gift for a special 1st communion child It looks like it is made well.